6363 Christie Ave Emeryville, CA. | MLS# 473695 | Andrew de Vries, Probate Real Estate, San Francisco Probate Real Estate, Oakland Probate Real Estate, Berkeley Probate Real Estate, Alameda Probate Real Estate, Lafayette, Contra Costa Probate Real Estate, Probate realtor, Probate agent, Probate Broker. 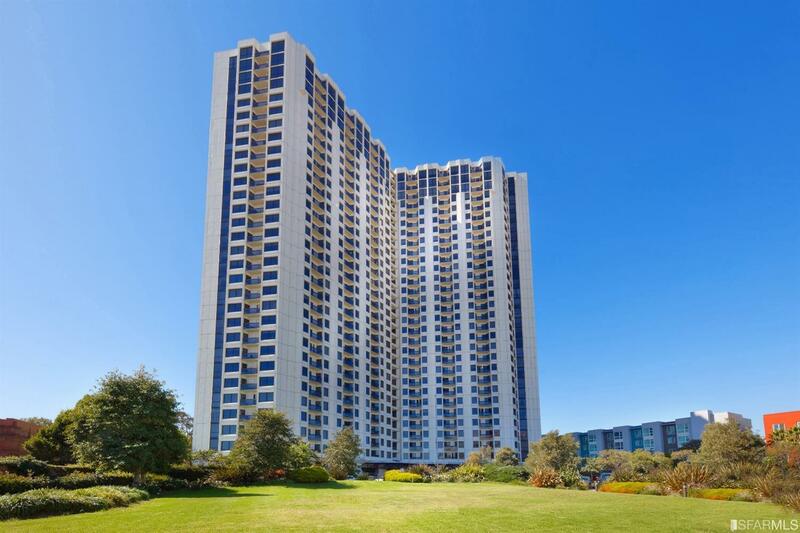 Come up & enjoy the views from this charming 1BD/1BA Pacific Park Plaza Condo located steps from Emeryville shopping & dining & minutes from Berkeley, Oakland & SF commute access & public transit. Possibly one of the best values in the area, the Luxury Condo boasts a bright open floor plan: Formal living room w/adjoining kitchen (ready for a new owner's touches) that features a breakfast bar, large BD w/balcony, ample split bath and lots of closet space. All main rooms have Northern views of the Bay & Berkeley Flats/Hills. Complex offers 24hr security, pool, gym, member lounge, tennis court, sauna, spa & on-site HOA. Easy access to Amtrak, BART, 580E/80W, UCB, SF's Financial District, Emeryville Plaza, Powell St. Shopping, Cinemas & more!